The ball has dropped, the confetti has settled, and you’re back at work in the same old HR department staring at the same old software issues. You know the ones: those nails-on-the-chalkboard nagging problems that make your life difficult and contribute to that especially tender knot in your shoulder muscles. But perhaps more importantly, apps are great tools to promote employee engagement and build your employer brand. Win-win. Turn the focus on employees, not HR people. With the rise of the millennial generation, we have seen an upsurge in job-hopping, with loyalty to any one company becoming more rare. In order to retain your top performers, you’ll need to make employee engagement a priority. Tools like social platforms, employer branding, mobile apps, mentorships, and feedback platforms can help create a positive employee experience as you reassess your company culture. HR software should improve the experience for employees as well as HR people. Revamp the performance review process. The stodgy end-of-year annual review is dying a slow and painful death. In its place, consider more frequent, shorter reviews that provide actionable feedback. Also consider incorporating peer reviews and self-evaluations into your performance review process so managers can get a more in-depth look at each individual’s strengths and weaknesses. Develop a stronger employer brand. As the balance of power shifts toward the employee rather than the employer, companies will need to position themselves as desirable places to work in order to attract and retain quality talent. This year, create a step-by-step plan for improving your culture, strengthening diversity, celebrating employee successes, increasing flexible work options, and leveraging the strengths of team management. Start an employee wellness program. This one might seem like an “extra” rather than a necessity, but analyst extraordinaire Josh Bersin lists it as one of his nine top HR trends for the coming year. That’s because the explosion of wellness apps to help people manage their heath is trickling into the workforce, and companies can utilize the trend to support workforce management and engagement. Take a long, hard look at people analytics. The HR world has been talking about analytics for years, but only recently has it come into its own as a driver of business success. People analytics can help you create predictive retention models, analyze sales productivity, evaluate performance, and create programs for better work quality and engagement. This year, focus on cleaning up HR data, consolidating it, and hiring people who know how to draw useful conclusions from the available information. Evaluate the idea of collaborative team management and consider its potential impact. Old-school hierarchical management styles no longer deliver the same impact they used to. Instead, team-based management styles focus on utilizing the strengths of every team member and working together toward a common goal. HR tools make this process more effective by managing workflow, facilitating training, encouraging communication, and creating prescriptive learning platforms. Build a network of technical gig workers for contract work. The gig economy is exploding, and 2017 will see a surge in the number of people who freelance or self-employ. Companies can capitalize on the trend by discovering qualified contractors to help them complete projects and manage workflow, and your HRIS can help you manage the logistics. If your current HR software isn’t built for the new age of digital disruption, it’s time to upgrade. 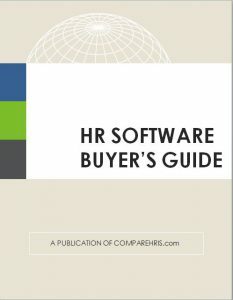 Software vendors have shifted their focus to employee engagement, cloud offerings, mobile strategies, performance management, and a people-centric design, making their software more usable and intuitive for employees and managers as well as your HR team. 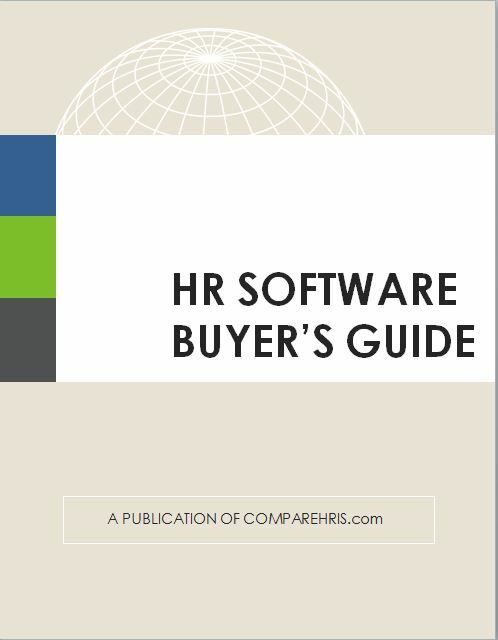 At CompareHRIS, we make the selection process easy with our HRIS Comparison Tool. Simply answer a series of questions and receive a customized vendor short list based on your requirements. It’s the fastest way to comb through the many features and capabilities you need to keep your HR department running efficiently.